Forget Blur/Oasis and Cool Britannia. None of that actually happened. Bad Vibes is the true story of English Rock in the nineties. 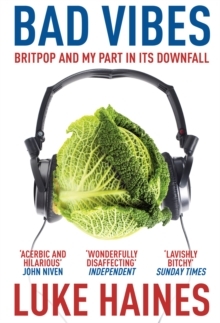 Written with wit, brio and no small amount of bile, Luke Haines recounts how it felt to ride a wave of self-congratulatory success in a world with no taste. As frontman of The Auteurs, Haines tells of supporting Suede, conquering France, and failing to break America. 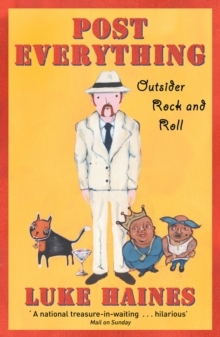 Of knuckle-headed musos , baffling tours and a swiftly unravelling personal life. And of what it's like to be on the cusp of massive success. 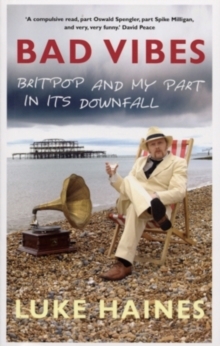 Funny, honest and ridiculously entertaining, Luke Haines attacks anyone within rifle range, and is more than happy to turn the gun on himself. Bad Vibes is a brilliant memoir from a man who tells it how it was - and how he wishes it hadn't been.